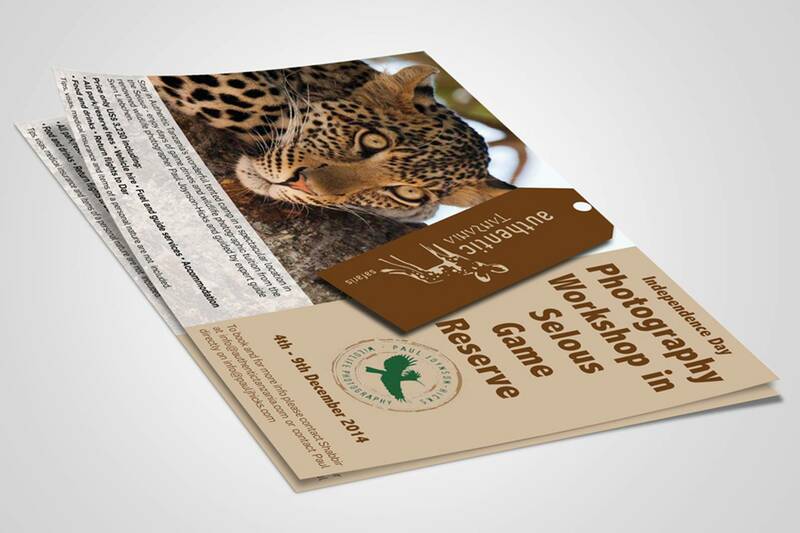 To inspire clients to take up a real life changing experience, like a wildlife photographic safari, the images used take pride of place in all promotional material. 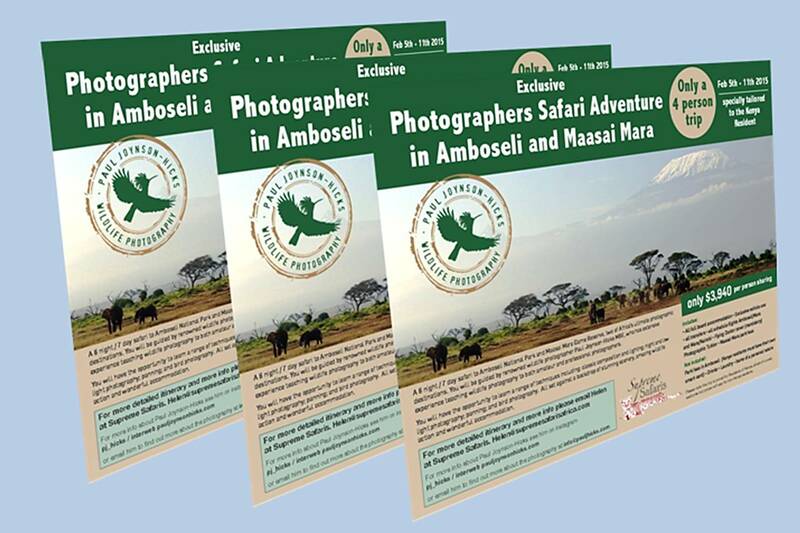 At icdtz we worked closely with Paul to select from his vast portfolio and produce flyers that really motivated potential clients to book a trip. Using the right image, with the correct colour scheme and appropriate text can be the difference between flyers that fail to impress and those that generate real interest.